Tripadvisor Inc Common Stock (NASDAQ:TRIP), a travel booking and planning site has announced the winners of Travelers’ Choice® awards for airlines. The awards recognize the world’s leading and favorite carriers. For 2018, the site named Singapore Airlines as the best airline globally while Southwest Airlines was the best carrier in the U.S. winners of the award were determined through an algorithm, which took into account the quality and quantity of reviews of the airline as well as the ratings sent by travelers around the world for a period of one year. After the successful inauguration of the Travelers’ Choice awards for airlines in 2017, the 2018 edition expanded to include 69 airlines which offered exceptional services and value around the world. Additionally, on the world list, the awards recognized per region which included the Middle East, Africa & Indian Ocean, South Pacific & Oceana, Latin America, North America, Europe and Asia. The awards also recognized the best airlines in fur different classes: Economy, Premium Economy, Business Class and International First Class. The hallmarks of the awards’ winners are value, quality and outstanding services. 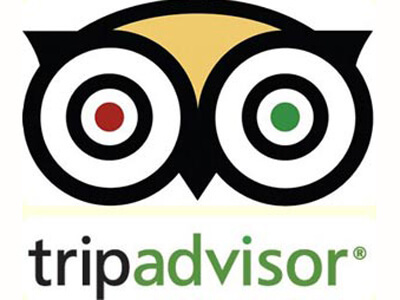 In a statement, TripAdvisor Flights senior vice president and general manager Bryan Saltzburg said they are very happy to once again recognize the best airlines in the world and recognize carriers that offer exceptional services around the world. He noted that as the industry launches new fare products as well as an increasing array of in-flight products, many customers are also seeking airlines which offer value and high quality experience. He added that the awards recognize airlines that perform beyond customer expectations. Mr. Goh Choon Phong, the CEO of Singapore Airlines said they are very happy and honor to win this year’s Best Airline in the World award. He added that the award is an indication of the commitment and handwork from the thousands of staff working for the airline around the world. Phong added that the airline has a business which is anchored on three pillars: network connectivity, service excellence and product leadership. Vice president and chief marketing officer of the Southwest Airlines Ryan Green aid they are highly honored to be not only the best carrier in the US but also to be featured among the top ten globally. He added that the real winners of the awards are the airline’s over 120 million customers, who they serve.